Encephalopathy - when your brain functions abnormally! Encephalopathy is referred to the abnormal brain structures or improper functioning of your brain. Depending on the underlying pathology, it can cause long-term or short-term problems. The symptoms may get stable, static or get worst as the disease progresses. Also, the significant brain loss is a cardinal feature of encephalopathy. There is no one population in particular that is more prone to getting the encephalopathy, because encephalopathy is categorized in many types, it can affect any population of any age and gender. As encephalopathy is an umbrella term (encompassing many diseases), the list of its potential causes is huge. Just suppose that if any pregnant women get the injury, this trauma can disturb the normal brain development of the baby and lead to encephalopathy. Similarly, the chemical poisoning or damaging electric function can also cause encephalopathy. It can also be triggered by birth defects. In addition to this, dementia can increase the risks of encephalopathy. • Chronic Traumatic Encephalopathy: nerve damage in the brain due to repeated or multiple traumas in the brain. Commonly reported by football players, boxers, and military members injured in explosive attacks. • Hashimoto’s encephalopathy: Associated with the Hashimoto’s disease, in which the immune system affects the thyroid gland. • Hepatic encephalopathy: the impaired functioning of the liver causes the toxin buildup in your blood vessels and causes the liver disease. If it’s not resolved, it leads to hepatic encephalopathy. • Glycine Encephalopathy: the unusual increased levels of glycine (amino acid) in a brain. It is hereditary or genetic and its symptoms are prominent right after the birth in infants. • Hypertensive encephalopathy: the untreated very high blood pressure results in the brain swelling, damaging the brain and causing the hypertensive encephalopathy. • Hypoxic ischemic Encephalopathy: too little oxygen in the brain results in its dysfunction or permanent damage. • Toxic Metabolic encephalopathy: the organ failures, infections or toxins cause the chemical toxicity. If you’re experiencing most of the symptoms, you should schedule your appointment to your doctor. After taking your medical history and symptoms into consideration, your doctor will suggest to have the complete medical screening done. Along with memory tests, coordination tests, and mental status tests, following tests are also recommended to make the accurate diagnoses and start the treatment as soon as possible. As the types of encephalopathy are quite wide, therefore there are also many treatment options. After confirming the type, your doctor may suggest to you the nutritional supplements for reducing the brain damage. Early rehabilitation, including physical therapy and occupational therapy can also take place in order to improve the quality of life. Oxygen therapy is another treatment option in those who are suffering from Hypoxic ischemic encephalopathy. Anticonvulsants are advised to decrease or halt the seizures in advance cases. If organ failure is producing the abnormality in brain, the organ replacement is also considered. 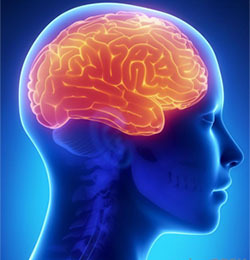 Treating the encephalopathy with stem cells therapy is a new and modified form of treatment to improve the condition. With the help of stem cell treatment in Hypoxic Ischemic Encephalopathy, the damaged cells are replaced, cell regeneration promoted, inflammation reduced, and trophic factors released for the optimal healing and a better survival rate, revealed a study in 2012. A study published in Frontiers in Neurology Journal in 2014, it has been revealed that in neonatal hypoxic Ischemic Encephalopathy, clinicians found the stem cell treatment as the life-saving approach. Hence, it’s believed that when all treatment options are tried, the stem cell treatment is the new hope for the people fighting encephalopathy. If the cause is determined and treated at the right time, some types of encephalopathy are reversible and have a good recovery rate. But, the shocking point about encephalopathy is that all types can be life-threatening if they go unnoticed. So, the support from your loved ones and the collaborative approach from your healthcare team will help you fight from this disease and get a new life.